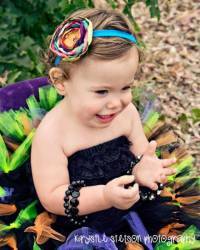 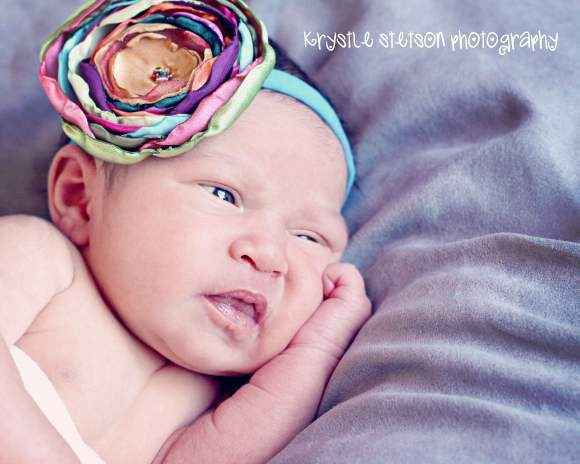 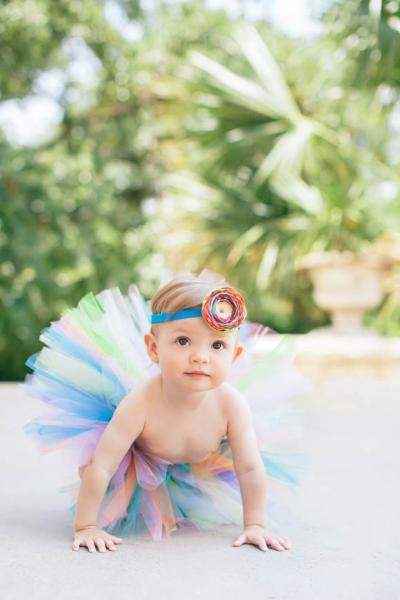 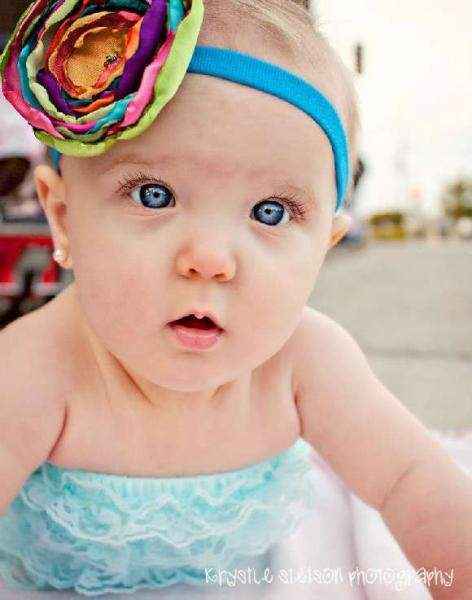 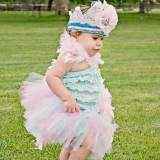 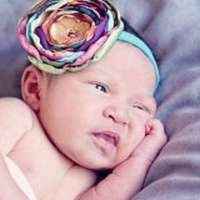 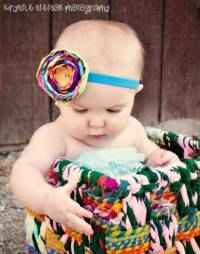 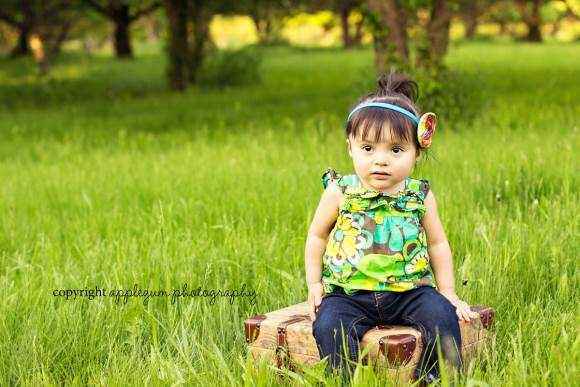 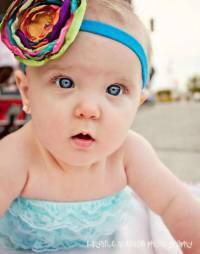 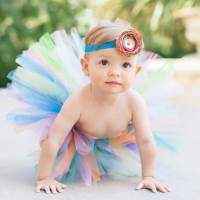 This multicolored flower baby and girl's headband looks beautiful on any modern girl! 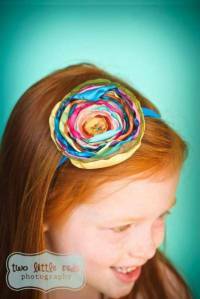 This large flower girl's headband makes a beautiful girl's gift. 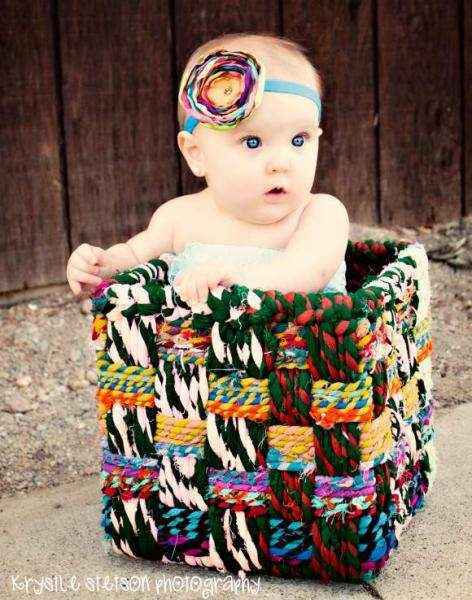 Comes in one size that fits 1-year-olds to teens. 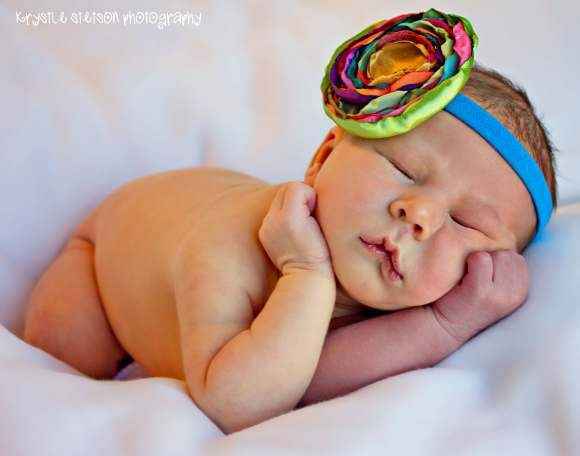 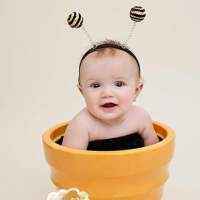 You can use the headband on babies younger than 1 as a photography prop, as you can see in the photos. 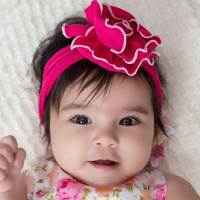 But the headband might be loose on babies if worn every day. Note: Each girl's multicolored flower headband is handmade individually, and so there will be slight variations from the photos. 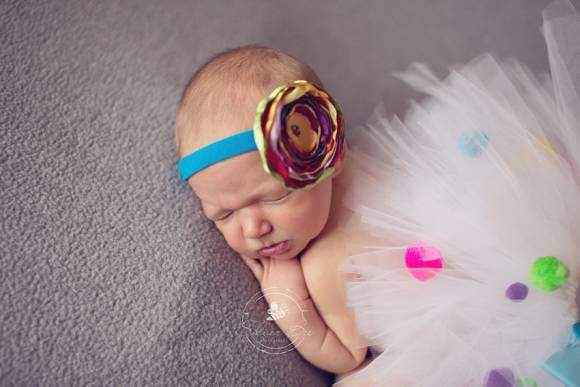 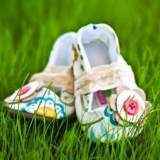 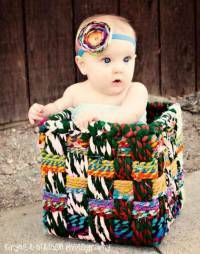 Each multicolored flower baby headband is handmade in the United States.